Jocelyn Vaughn sued him in September to establish paternity and child support for their daughters. 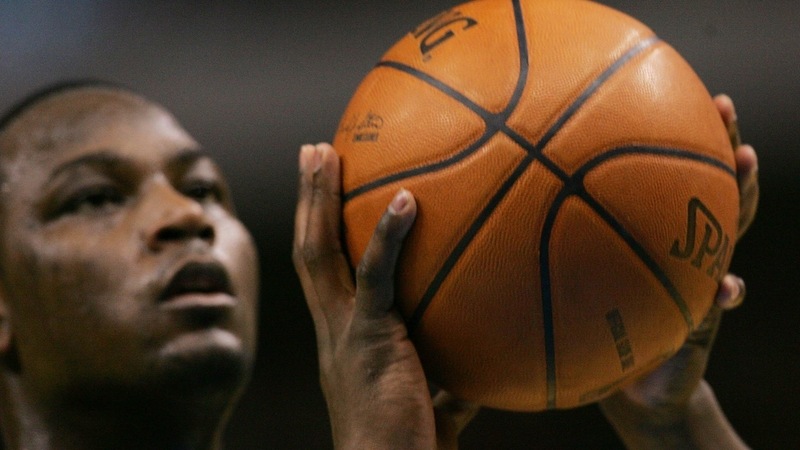 More than a week after Kwame Brown was arrested in Georgia for possession of marijuana, the former NBA star is back in the headlines after demanding his baby mama be shut down in their custody battle. Brown’s ex, Jocelyn Vaughn, sued him in September to establish paternity and child support for their daughters, The Blast reported. In court docs, she alleged he was not supporting them financially. In response to her motion asking the court to order him to pay her legal fees, Brown argued that he is not living the baller life, as Vaughn believes. Instead, he is surviving by way of his savings as he attempts to get various business ventures launched — none of which, he alleges, are making any money at the moment. Brown also claims to have paid his ex over $52,000 in support and funded bank accounts for his children that the “Petitioner has withdrawn at least $22,000” from “for her own personal use in the past year,” according to The Blast report. He would like the court to take into consideration that Vaughn is a licensed nurse who is employed full time and bags $60,000 a year, so she can pay her own legal bills. Brown, 37, who spent 12 seasons in the NBA with seven teams, was arrested in Georgia last month when police pulled over the vehicle he was a passenger in and “smelled the odor of burning marijuana coming from.” It turned out to be Brown’s Mercedes-Benz, Sporting News reported. Police found a slew of edible marijuana products, including cannabis cookies, cannabis-infused tea and cans of cannabis-infused mints, all illegal items in Georgia. Brown was arrested and charged with felony possession of marijuana edibles and misdemeanor possession of less than one ounce of marijuana.